Now available as a high-res poster you can purchase here. Yesterday I posted a work-in-progress (since deleted) of this map, and now I am happy to report I completed it. Was able to get the right pixel look I wanted for the track, making it look rendered by the SNES’ Mode 7. 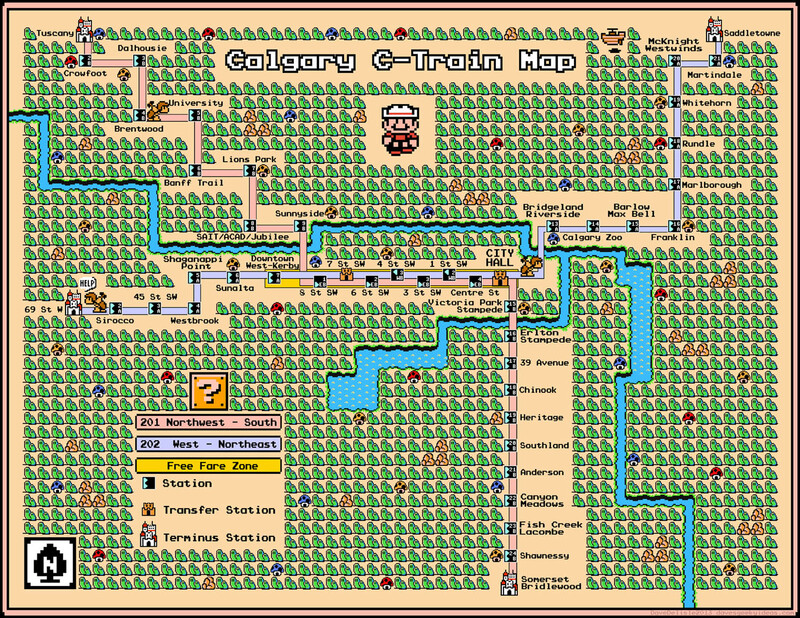 I also substituted the Blooper fishes for warp pipes, and added cul-de-sacs to the end of the tracks to undercut their ‘dead end’ nature. 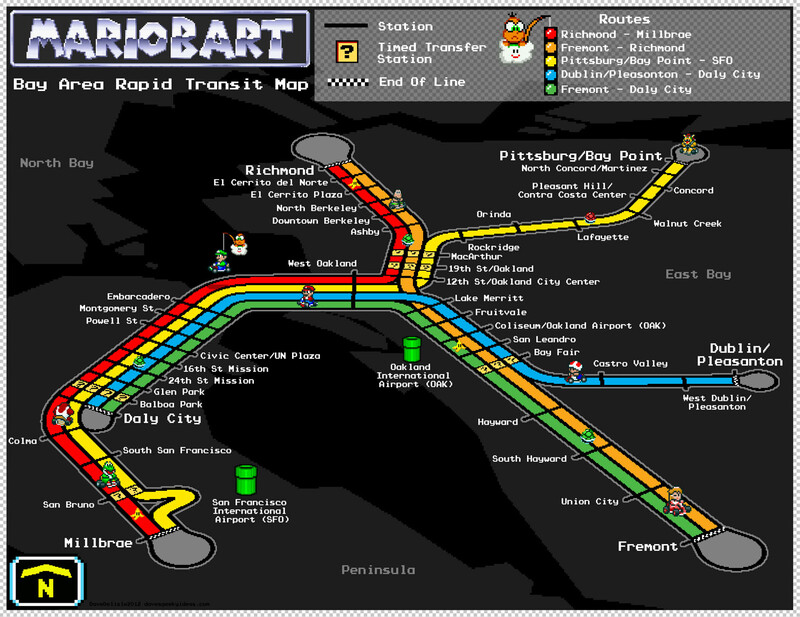 To reiterate, this BART map is based on the Rainbow Road track from Mario Kart (SNES), which is why the terrain is dark. 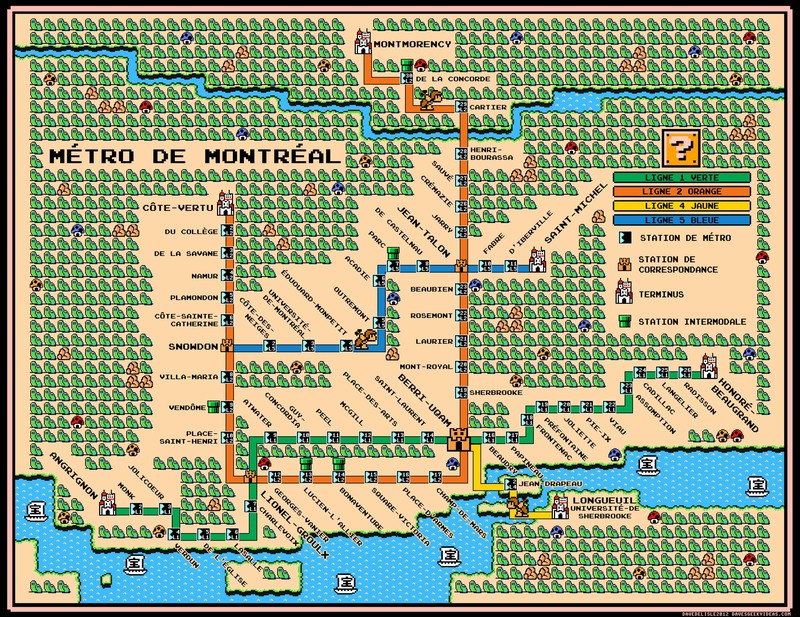 However I see a lot of transit maps using this look for the background, so it works pretty well if I may say so. UPDATE: A new version of the map has been made, check it out here. 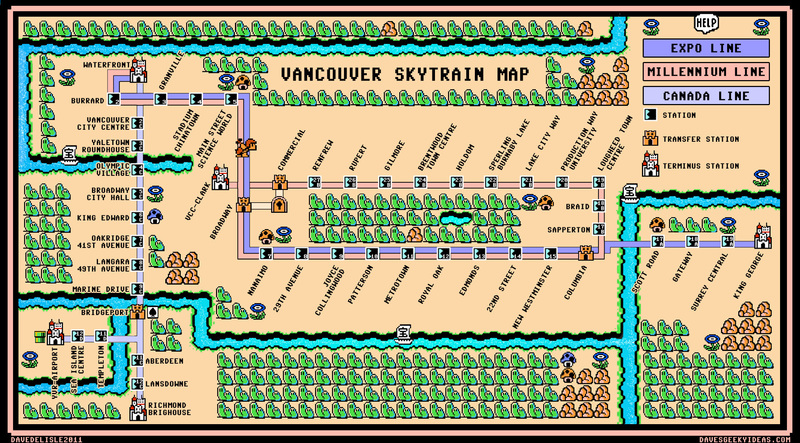 Here is a Skytrain map which was inspired by actual maps I have seen in the trains and stations. I hope you enjoy it!